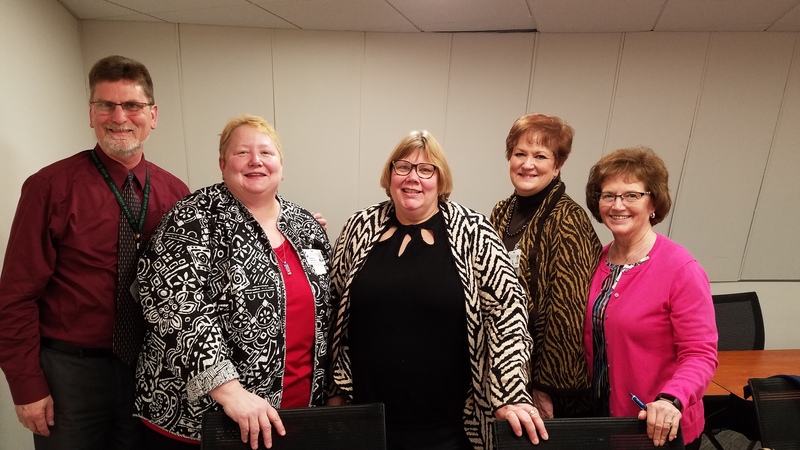 Catholic Charities of St. Louis hosted its first Lunch ‘N Learn series of 2018, focusing on the lives of older adults in St. Louis County. 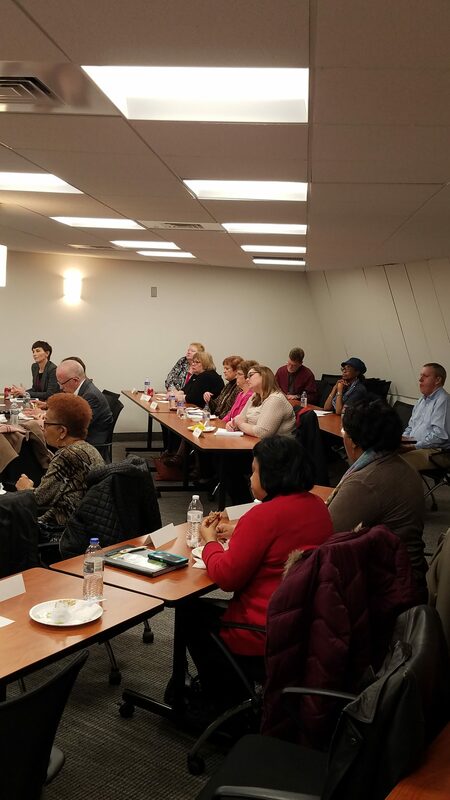 Those in attendance February 22 at the Catholic Charities of St. Louis administrative offices heard from Lori Fiegel, Director of Strategy and Innovation for St. Louis County. 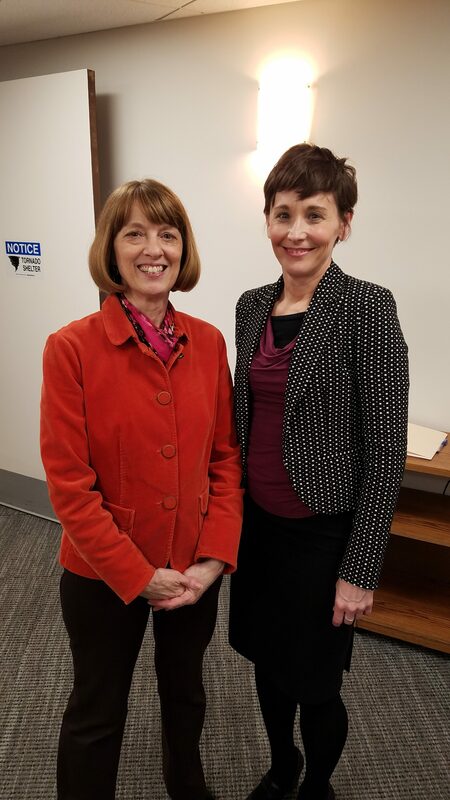 She presented on “How to Improve the Lives of Older Adults in St. Louis County” highlighting statistics regarding the need for an age-friendly community as well as providing more positive views on aging to the general population. “People internalize stereotypes early and carry them throughout their life.” Fiegel pointed out in her presentation, “Statistics show that a positive attitude towards aging could erase the gene which predispose one to dementia,” making the call for age-friendly communities not only relevant to the health and well-being of our older population, but also to the younger generations insuring their positive outlook on aging in the St. Louis community. Cardinal Ritter Senior Services offers creative care for the senior adult, so this particular discussion was well attended by its Board of Directors. Issues regarding transportation for the elderly as well as discrepancy in life expectancy across the county, particularly stood out to the representatives and they were looking forward to integrating some of what they learned at the presentation into their discussions involving the agency. Held quarterly throughout the year, the Lunch ‘N Learn Series is an expansion of the second half of Catholic Charities of St. Louis’ mission statement: work to improve social conditions for all people in the community and to call members of the Church and community to do the same. “This is an opportunity for our leadership to become aware of issues and trends that impact our mission and the factors behind them,” explains Tamara Kenny, JD, MSW, Director of Advocacy and Community Engagement, and facilitator of the series. Previous topics have included Immigration, An Update on the State of Our Community and most recently the Opioid Epidemic. The next Lunch ‘N Learn will be held at the Catholic Charities of St. Louis Central Office in May.